The Eagle Rock community has always prided itself on a tradition of coming together to create positive change. 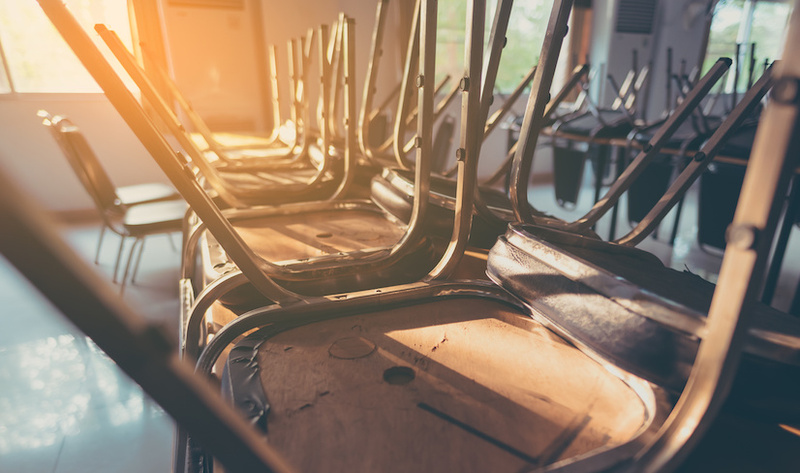 We believe that a thriving educational community is the direct result of skills, structures, and trusting relationships that are constructed through effective change processes. As a result, school leadership, staff, and students are gathering together for a school-wide afternoon class during the second five weeks of our current trimester (ER 77) to explore an Enduring Understanding that affects us all. (For those unfamiliar with the language, an enduring understanding is a statement summarizing important ideas and core processes that are central to a discipline and have lasting value beyond the classroom.) The end result is to collectively bring our entire community together to learn and grow. The belief is that everyone involved will leave the process with a deeper understanding of each other, the skills to make positive change in communities, and specific structures that will make Eagle Rock a stronger community. Our winter trimester break is now underwayhere at Eagle Rock School and Professional Development Center, which means many of our students have returned to their hometowns or headed elsewhere for this thrice annual vacation from school. Back here on campus, it’s been a busy trimester, with the graduation celebration for three of our students last Friday, followed by a mass departure of students the following day after an end-of-trimester community meeting. The staff held a holiday party on Saturday, and individual work teams met this past Monday for some trimester wrap-up work. 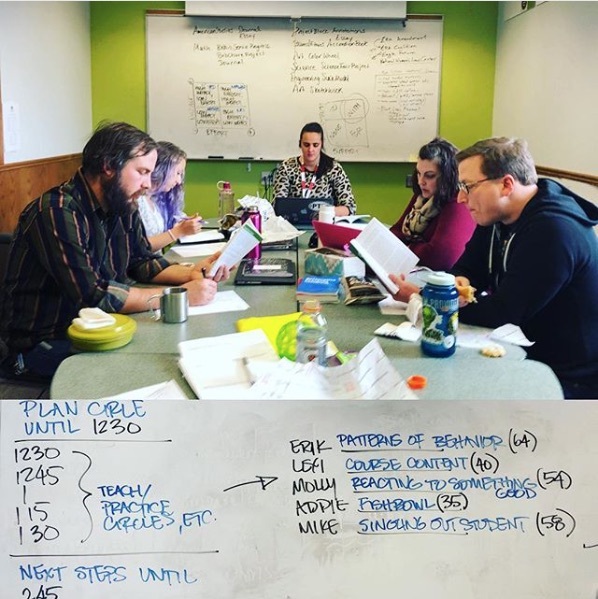 And while many of our instructors and staff head off to their holiday destinations, some — including Dan Condon, our Associate Director of Professional Development — are working during parts of the trimester break with educators who are committed to making high school a more engaging experience for our country’s youth. In Dan’s case, he was working earlier today on a Restorative Practices project with the Étude Group in Sheboygan, Wis., while tomorrow he’ll be working with TNTP (formerly known as The New Teacher Project), and on Friday he will be participating in a meeting at Public Allies, Inc. in Milwaukee. Etude Group (Sheboygan, Wis.) engaging with Eagle Rock’s Professional Development Center. A set of blueprints is most often construed as an architectural plan for a physical building project. 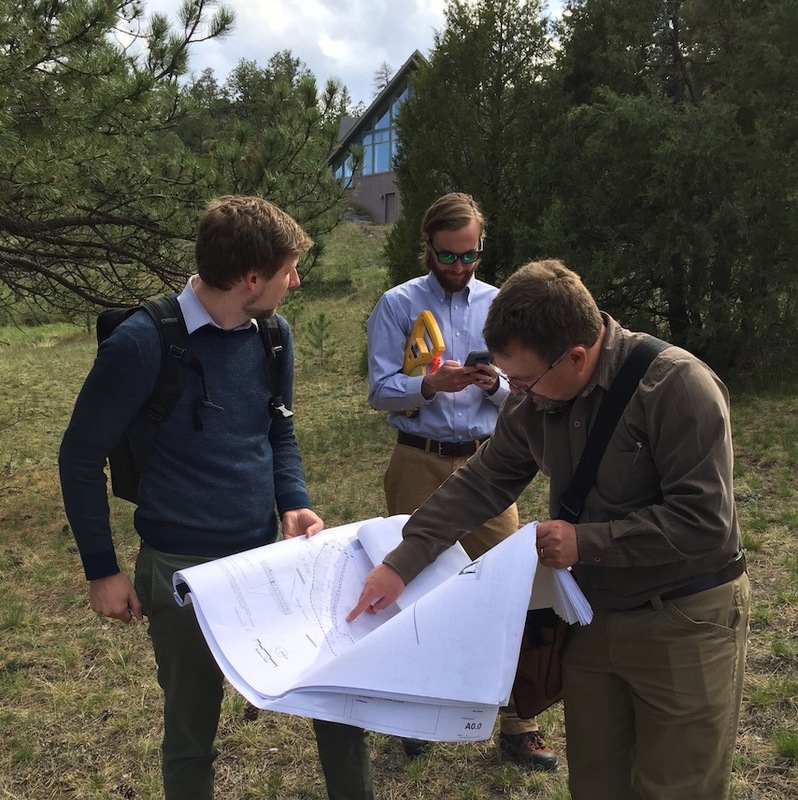 And, in truth, we’re discussing such a construction project in today’s post that will see the first of two new buildings bringing a welcome — and needed — addition to Eagle Rock 640-acre campus in Estes Park, Colo. But we’re also talking today about a second set of “blueprints” that specifically affects Eagle Rock School and Professional Development Center’s institutional planning process. Called Vision 2020, this blueprint enables our board members and staff to fulfill our mission by carefully planning for the allocation and use of resources. As the result of a thorough planning process conducted several years ago, our board — assisted by students and staff — adopted an updated plan that incorporates seven major areas of focus (called domains) to be carried out over a multi-year period. Editor’s Note: Today’s post, which focuses on the recent screening of AN AMERICAN ASCENT — an award-winning documentary film about the first African-American expedition to tackle North America’s highest peak (Denali) — comes to us from outgoing Teaching Fellow in Outdoor Education, Leila Ayad, Leila was one of the many Eagle Rock community members who attended the July 21 screening of the film in our Learning Resource Center’s Amphitheater. Eagle Rock co-hosted the event along with NOLS (National Outdoor Leadership School) — a leading provider of Wilderness-based expeditions for youth and adults. Each year, by way of NOLS’ Gateway Partnership Program, select Eagle Rock School students receive a highly coveted scholarship to participate in a NOLS expedition. Below is Leila’s write-up of the July 21st event here at Eagle Rock. This past trimester, Eagle Rock School and NOLS hosted a screening of the documentary film, “AN AMERICAN ASCENT,” which follows the first-ever all African-American expedition to attempt to ascend Denali, the highest peak in North America. NOLS representative Amy Mautz arrived on campus, bringing along the film and Stephen Shobe, one of the climbers featured in the film, which was shot in the summer of 2013 in Alaska. Shobe dined with a group of Eagle Rock students and hosted a Q & A session following a viewing of the film.